In an effort to expand its global footprint, California-based online retailer Newegg, which specializes in computer parts and electronic goods has announced that its e-commerce website is now available in key European and Asian markets including India, Ireland, Singapore, New Zealand, Poland, and the Netherlands. “We’re committed to growing Newegg in these regions so people from all around the world can experience the stellar shopping experience our North American customers currently enjoy”, said Soren Mills, Chief Marketing Officer of Newegg North America. 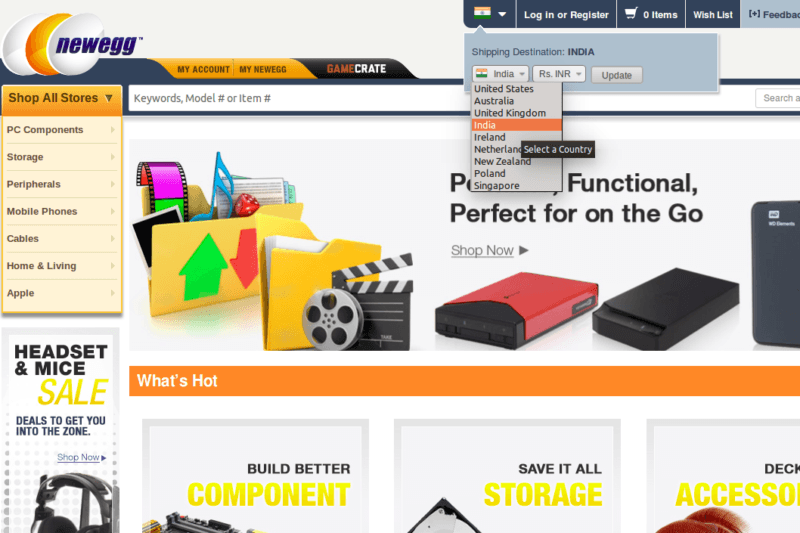 Besides Canada and the US, Newegg is already available in Australia and the UK. Newegg said that the new international stores will have a limited product selection for now, but the company expects to boost its global range over the coming months. As far as prices are concerned, they are competitive, but factoring in the shipping cost brings them almost at par with the rates being offered by local retailers. The company has also added 24x7 multilingual customer service, allowing customers to chat in their native language. At present the feature supports Polish and Dutch, but the company promises to add more options as it increases its global presence. For those who aren't aware, Newegg offers hardware components such as graphics cards, processors, solid state drives, cases, and more at competitive prices. Earlier, at this year's Computex, the company had announced its plans to expand to six more countries by end of June, but it was ultimately pushed back to this date.